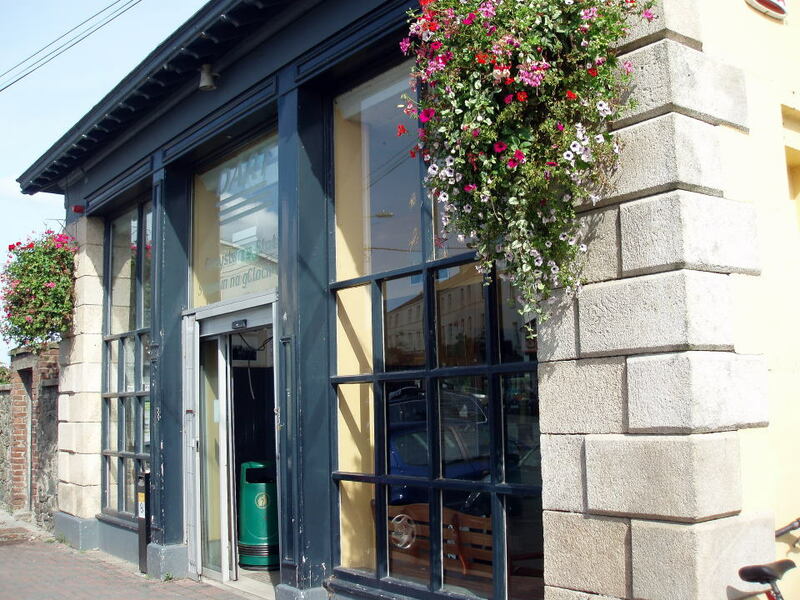 has further strengthened the law on smoking by limiting the sale of cigarettes in Ireland. 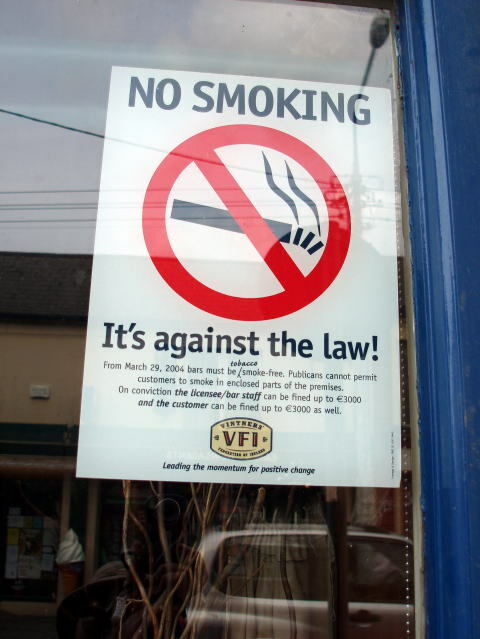 heart disease and a significant contributor to lung cancer in Ireland. Source: Citizens Information,an Irish e-Government website. 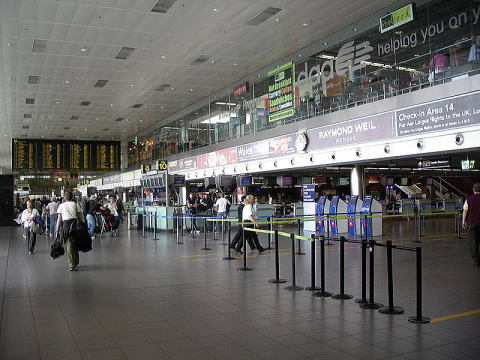 (L) Terminal 1 departures level. The arrivals level is on the floor below. 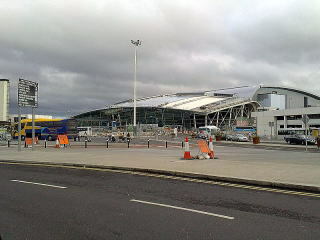 (R) €600 million construction work is under way for a new Terminal 2 at the Dublin Airport. 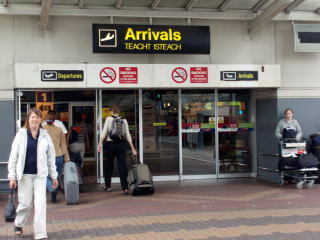 (L) No smoking sign clearly seen at the entrance of Dublin Airport 2006. 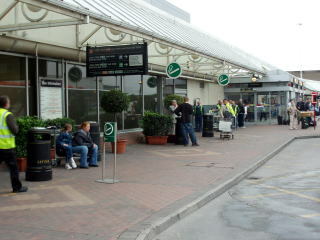 (R) Outdoor smoking areas are provided not close to the airport entrance. 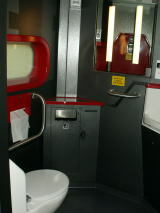 No smoking booth in the express train between Dublin and Belfast. 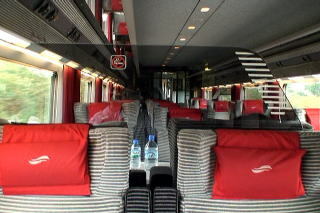 Trains are completely smoke-free. (L) The warning sign stating that smoking is against the law, and you have to pay 3000 Euros if violate. (R) A quite and elegant appearance of the Irishrail Wicklow station.